The Student Spaceflight Experiments Program is proud to report that there were a total of 708 proposals submitted from student teams across the 14 communities participating in Mission 8 to ISS. Of those, 352 proposals were forwarded for review by Step 1 Review Boards in each of the communities. The Step 1 Review Boards in 12 of the 14 communities selected three finalist proposals, which were submitted to the National SSEP Step 2 Review Board. 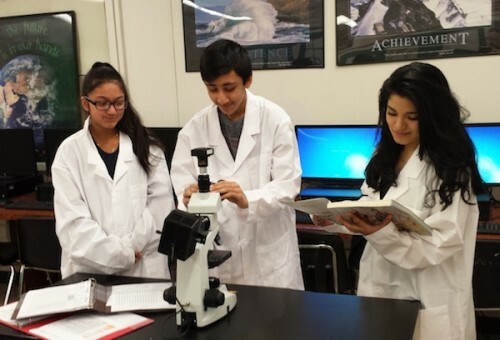 One community, Suffolk County, New York, underwrote the flight of two experiments – one for each of their two participating school districts – and submitted 6 finalist proposals. An additional community only submitted 2 finalist proposals. The Step 2 Review Board therefore received 44 finalist proposals from the 14 Mission 8 communities. 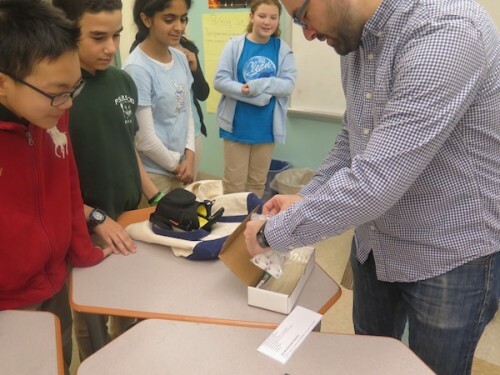 On May 19, 2015, the Step 2 Review Board met at the Smithsonian National Air and Space Museum, reviewed all 44 finalist proposals, and selected one proposal to fly for each community (two for Suffolk County, NY), for a total of 15 flight experiments. By May 28, 2015, the National Center for Earth and Space Science Education and the Arthur C. Clarke Institute for Space Education formally notified each community of their selected flight experiments. 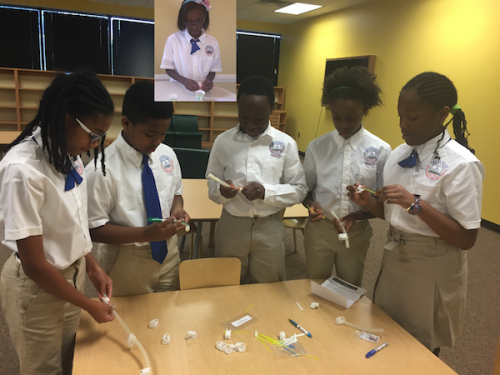 It is noteworthy that the 708 proposals received reflected a total of 3,290 grade 5-16 students fully engaged in experiment design. All 44 finalist experiment teams, along with descriptions of their proposed flight experiments, are provided below. You are also invited to meet the SSEP Step 2 Review Board members for Mission 8 to ISS. Congratulations to the over 3,000 students and their teachers participating in Student Spaceflight Experiments Program Mission 8 to the International Space Station. The objective of the experiment is to test the efficacy of ampicillin in a microgravity environment through the observed resistance of Escherichia coli B-strain bacteria (E. coli). The E. coli bacteria will initially be cultured in a lab setting prior to filling one section of the Type #3 FME Mini-Lab. When in space the E. coli will be released to react with ampicillin. 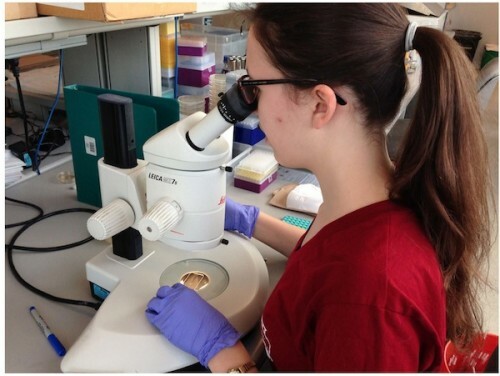 Once the FME Mini-Lab is returned, living bacteria will be examined in a viable cell count technique. The collected data will allow us to examine the effectiveness of ampicillin in killing Escherichia coli in a microgravity environment. How Does Microgravity Affect the Differentiation of Mesenchymal Stem Cells and the Function of Osteoblasts and Osteocytes in Producing Bone Matrix? Exposure to microgravity in long duration space flights poses numerous health risks. The body’s physiological response to a microgravity environment has been shown, among other effects, to include reduced bone density and strength. NASA’s current stated objective, to place astronauts on Mars by the 2030s, requires significant advancement in treatments for loss of bone density. Spaceflight osteopenia, a condition that closely mimics earth based osteoporosis, causes bone density to decrease at an elevated rate. Female astronauts are especially susceptible to this condition on account of hormonal changes that are exacerbated by a low gravity environment. Current scientific understanding suggests that the ratio of osteoclasts (bone resorbing cells) increases relative to osteoblasts (bone forming cells) in space. Given that osteoblasts are incapable of mitosis, the ratio change can potentially be attributed to the effect microgravity has on the ability of mesenchymal stem cells to differentiate down an osteogenic pathway. Mesenchymal stem cells, which have the ability to proliferate indefinitely, are responsible for the creation of all bone producing cells. Evidence suggests that the production of osteoblasts is down-regulated by a microgravity environment. This results in a significantly accelerated rate of bone loss, and correspondingly, drastically reduced structural integrity. To facilitate the creation of substances that inhibit the progression of the condition, we must understand the role of gravity in regulating the differentiation of mesenchymal stem cells and osteoblast performance. Primary question: what are the effects of microgravity on the activation of human myofibroblast cells? Our team will analyze the expression of alpha-smooth muscle actin (α-SMA) in myofibroblast cells after they are activated in a microgravity environment versus a terrestrial environment (Earth). In space, the human body is in a state of freefall and requires significantly less mechanical activity to perform various functions as it would on earth. Resultantly, the human body experiences loss in muscle mass and bone density. It has been documented that prolonged space flight results in atrophy of the heart muscle on account of decreased myocardial load. On Earth, long-term unloading results in decreased function and increased fibrosis, a structural remodeling process mediated by cardiac fibroblasts. Fibroblasts are found in every organ system. They play a critical role in wound healing and, in the heart, are associated with maladaptive structural remodeling following injury. The underlying phenomenon for both of these processes is the activation of fibroblasts into their contractile myofibroblast phenotype. While myofibroblast activity is necessary for scar formation, sustained activation can result in excessive scar deposition leading to organ fibrosis. Accordingly, our experiment will examine the activity of cardiac fibroblasts under baseline and pro-fibrotic conditions in a terrestrial and extraterrestrial environment. Since fibroblasts actively sense their surroundings and change their behavior accordingly, we will document how these processes are affected by microgravity. Insights gained from this study will further our understanding of fibroblast behavior and the effects of space on cardiovascular structural remodeling. The purpose of this proposal is to present an experiment on the growth of the fungi Pleurotus ostreatus, commonly known as the pearl oyster mushroom, in microgravity. The question we are proposing is: Will microgravity affect the growth of Pleurotus ostreatus? The Pleurotus ostreatus is an edible species of mushroom that is harvested three to four weeks after initial spawning. It is an ideal species for this experiment because it can grow in a wide range of temperatures (ranging from 10ºC to 35ºC) while achieving optimal growth at 25ºC. This saprotrophic fungi, Pleurotus ostreatus has the capacity to use recyclable material from the space shuttle such as cardboard and office paper, in addition to left-over vegetation such as rice straw, as substrate by extracting nutrients from the lignocellulosic waste. When under microgravity, the spores will be mixed with the bedding of food and water source for a duration of nine days for cultivation. Any growth thereafter will be terminated by mixing puromycin solution with the substrate and fungi. N-acetylglucosamine will be quantified to determine the amount of growth of the fungi. Pleurotus ostreatus was chosen because the simplicity of the experiment shows great potential for growth in microgravity and the success of such an experiment may offer a great solution to growing edible food while using waste materials that are readily available. Diffusion plays an important role in driving chemical and biological reactions. In microgravity, the factors that assist in diffusion, such as convection and surface tension, behave differently. Whether this affects the diffusion of biological molecules has remained unexplored. We believe that studying diffusion may help explain the altered cell function and morphology observed in microgravity. To investigate this, we decided to examine the kinetics of β-amyloid plaque formation, a hallmark of the Alzheimer’s disease. This experiment will not only help understand the effects of microgravity on proteins but improve our understanding of the processes that drive the disease. This leads us to the question, how does gravity influence the growth of β-amyloid plaques through diffusion? We hypothesize that amyloid plaque formation will be slower in space due to slower diffusion. Amyloid plaque formation occurs when the amyloid protein misfolds and begins to aggregate. The misfolding is triggered by GM1, a membrane lipid. The proposed experiment will be conducted in two Type III Fluids Mixing Enclosure (FME) mini labs (one as control on Earth and other on the ISS). To initiate the plaque formation, lyophilized Aβ-40 will be mixed with GM1 liposomes. The reaction will run for two days at ambient temperature, before being terminated by formaldehyde solution. Upon return, the degree of plaque formation in the control and space sample will be compared using Thioflavin T fluorescence assay. The size and the number of plaques will also be quantified to determine if microgravity influenced the overall kinetics of plaque formation. Pancreatic α-amylase is an enzyme produced by the mammalian pancreas and excreted into the duodenum of the small intestine. This enzyme is a glycosides that hydrolyzes the cleavage of α-1,4-glycosidic linkages. It most frequently acts on the glycosidic linkage between glucose monomers of starch and smaller oligosaccharide starch derivatives; maltose and glucose are liberated as the major products. It is hypothesized that the rate at which α-amylase liberates maltose from starch will be reduced in conditions of microgravity, as a result of the decreased incidence of properly-oriented collisions between the substrate and active site of α-amylase. The experimental design described in this outline permits the quantification of maltose produced from the hydrolysis of maltotriose by α-amylase in conditions of microgravity and gravity. If a decrease in enzyme activity is observed, our findings could be made applicable to enzymes active in similar physiological environments, and predictions could be made for implications of microgravity on human health. Muscle atrophy poses a huge problem for astronauts in prolonged space flight. In addition, it is a common contributor in several diseases and conditions such as ALS (Amyotrophic Lateral Sclerosis), stroke and cancer. One of the most recognized contributors to muscle atrophy is oxidative stress. In a study looking at oxidation in mice with ALS, the concentrations of Acid Sphingomyelinase (ASM) increased. It has also been proven that ASM produces ceramide, a significant contributor to oxidative stress. Some studies suggest that ASM causes an increase in ceramide levels and aggravates oxidative stress but there have been very few follow-up studies. Caenorhabditis elegant is a small soil nematode that has been used in biological studies due to its size and genetic similarity to humans. This experiment aims to study C. elegant’ ASM levels in microgravity on the next SSEP mission to the ISS. A ground control model will be running in tandem to the one in microgravity for comparison. This experiment could prove useful in determining whether ASM contributes to muscle atrophy in spaceflight. Muscle atrophy is a large problem in spaceflight and in several diseases, and the goal of this experiment is to find a way to study its mechanisms. This research could open doors for further research on ASM and its role in muscle atrophy and therefore have positive implications in the future. How will Microgravity Affect the Functions and Development of Stem Cells in S. Mediterranea Flatworm? Over the course of our experiment, we will examine the effects of placing a sexual and asexual specie of Planarian flatworm, known as Schmidtea mediterranea, under microgravity. Planarians are capable of complete regeneration from any fragment of their body and have become essential in stem cell research. These organisms have unique genomic tools allowing for analysis of their regeneration process from a molecular perspective. Alteration of gravity can affect stem cell polarity, intercellular communication and expression of related genes and processes essential to stem cell proliferation. Seeing as sending experiments to space is an extremely expensive process, it makes sense to maximize the utility of any experiment. Thus, this proposal entails three different experiments, each occurring in a different volume of the Type 3 FME. This experiment poses three main questions: “How will microgravity affect embryonic stem cells in a planarian egg?”, “How will exposure to microgravity and natural radiation in space affect S. mediterranea stem cell functions upon return to Earth?”, and finally, “How will microgravity affect the differentiation process of adult stem cells?” Enhancing the current knowledge behind the behavior of stem cells can lead to a better understanding of the applications and future potential in stem cell research. Gaining knowledge from organisms that possess such amplified regeneration capabilities and are so crucial to this field could be a resource for future research into stem cell development and medical treatment. Wastewater pollution of terrestrial and aquatic environments due to extensive industrialization and increasing population density is a global ecological threat that demands efficient and cost-effective alternative strategies to purify contaminated water. Bioremediation is a process that employs biological agents to breakdown environmental pollutants to less toxic or nontoxic forms. In this regard, microbial biofilms can serve as effective bioremediation agents, since these complex communities have high microbial biomass and the ability to immobilize toxic compounds. Notably, biofilm density and cell viability of Pseudomonas aeruginosa have been shown to increase in spaceflight relative to biofilms formed under normal gravity on Earth. Thus, we speculate that P. aeruginosa biofilms formed under microgravity could be harnessed as a novel means of bioremediation of wastewater on Earth. This experiment will test the hypothesis that microgravity can alter the cell viability, biofilm biomass and structure of P. aeruginosa strain PAO1, and that these changes correlate with a greater capacity to remediate simulated wastewater relative to control biofilms formed on Earth. To test this hypothesis, 48-h P. aeruginosa biofilms formed on glass coverslips under microgravity and normal gravity in Type 3 FME tubes will be exposed to artificial wastewater, recalcitrant compounds, and metals. Upon return to Earth, biofilms will be analyzed using confocal microscopy and mass spectroscopy to correlate biofilm structure with bioremediation capacity. Results from this study will provide valuable groundwork to develop alternative, cost-effective and eco-friendly strategies of wastewater remediation. Our question is, does microgravity affect the water absorption of Hyaluronic Acid (Sodium Hyaluronate)? Water absorption and maintaining moisture are important in space because there is only a limited amount of water sources in the ISS and maintaining moisture levels in microgravity environments can help the astronaut’s daily lives. Hyaluronic acid is found in the eyes and joints and in many types of skin care in order to provide moisture to the skin, heal wounds, and soothe burns or sores. It is also used in nasal sprays as vehicles that carry medicine into the body. There are many benefits for using hyaluronic acid on the ISS. The research shows that the astronauts’ aging process increases in microgravity and their skin gets very dry and itchy. Therefore, using hyaluronic acid would help their lives become more comfortable in space. We will research the water absorption property of hyaluronic acid in microgravity and on earth. In FME, volume 1, we will place 4 mL of distilled H2O. In the second volume, we will place 0.5 grams of Hyaluronic Acid powder, and 1 dry ball of cotton ball in volume 3. The Hyaluronic Acid powder will absorb the water when the FME is shaken. The cotton ball in Volume 3 will absorb the remaining water that was not absorbed by the Hyaluronic Acid powder. The difference in weight of the Hyaluronic Acid gel will be measured to learn how much water the powder can absorb on earth and in microgravity. progresses. At one point, both clamps will be loosened and shaken. In microgravity, the soybeans will be turned on/merged with water one day after arriving in space. Through our research we found that it takes 24-36 hours for a soybean to sprout or germinate after coming into contact with water. Our experiment is proposing to investigate how the cell wall of elodea plant cells can hold up in microgravity. We want to see if the cell walls will become weak and thin. In our study of microgravity effects on body system we learned that when humans are in space they get “chicken legs” meaning their leg muscles and bones become thin and weak. We know that plant cells and animal cells are similar in structure and function so we believe that just like human legs get weak because they don’t need to hold them in space, plants also don’t need to hold up in microgravity. Therefore, we believe the elodea plant’s cells’ cell walls will be thinner and weaker than the elodea on earth. This is important because as we begin learning how to live in space we need to better understand how space affects life because humans can’t live without plants or the oxygen that plants release during photosynthesis. Student researchers Karsyn Lee, Victoria Arseneault, and Lexie Kondo prepare to germinate the Arbutus unedo seeds for a pre-lab investigation. Helping plants grow in microgravity can result in having edible food to consume on long space missions. The purpose of the experiment is to determine the effect of microgravity on Raphanus sativus seed germination by quantifying the root growth and curvature. We plan to use willow water and honey mix to make powerful enzymes and Salicylic acid, which rapidly promotes root growth. The rooting hormone’s job is to help the Raphanus sativus seed’s growth after germination. We hypothesize that if the Raphanus sativus seed germinates in microgravity, the root curvature angles will be greater and the root length will be shorter than the ones from the Ground Truth Experiment. The Raphanus sativus seeds will be stratified cold in the freezer for 4 weeks. The freezer represents winter time. Then the Raphanus sativus seeds will be placed in rockwool soil. The rockwool soil represents the warm ground, a kind of a warm blanket for the seedling. We will be using formalin to help preserve the experiment after the seed germination. For the Ground Truth Experiment, we will be doing the same. When the FME comes back, we will compare both our experiments’ data to see the differences and if our hypothesis is supported. Our project is important because it tests how plants can germinate in microgravity with the help of willow water/Salicylic acid. will affect the given bacteria(e. coli k-12 wild). To do that, we will be using three different materials, penicillium, agar powder, and E.coli. The agar is used both for the penicillium and the e.coli. It is used mainly for growth of the two materials. Volume 1 will hold E. coli k-12 wild, Volume 2 will hold agar powder, and Volume 3 will hold the penicillium. If proven effective, the penicillium will take over the bacteria and kill it. If the penicillium has ‘killed’ the bacteria, the penicillium will use it to enlarge its own growth. It is already known that things can grow in space(e.g. flowers), but it is unknown if penicillium can be manufactured in space and if it will react to certain bacterias. Regular penicillium kills bacteria by weakening its cell wall so when the cell grows, the cell bursts, killing it. We think that there may be a chance that microgravity can affect the outcome of this scenario, ultimately deciding if the penicillium will do anything to react to the bacteria that will kill it. We are doing a bone solution for loss of bone mass in space. We have a solution that includes vitamin D pills, fish oil pills, calcium pills, and skimmed milk. We will be using a chicken bone as our test subject. The vitamin D helps your bone absorb calcium. We will use the FME 2 for this experiment. We will put the solution in one end and our bone in the other. In our experiment we will see if astronauts get less infected with osteoporosis and see if it affects their bone growth during the time.We will ask the team to unclamp it the first day then they shake the FME tube for 5 seconds vigorously then they will wait till the next day. In this experiment we hope to achieve more dense bones in deep space. Will Seeds Germinate within a Microgravity Environment and in which Direction will They Germinate? As we know, the seeds will germinate upwards on the earth. The seeds actually use gravity to tell them which way is up. They will grow upwards even in complete darkness. But how about in the microgravity environment? Do seeds germinate in a particular direction? If yes, in which direction will they grow? In this experiment, we use type 3 FME. In the middle of the tube, water is placed, which makes the seeds germinate. At the bottom of the tube, dry soil with plant seeds and air are needed. And at the top of the tube, we use 70% ethanol to stop the growth of seeds before being taken to the earth. In this way, the results we get only depend on the growth situation in space. We hope this experiment can help us learn more about the seeds germination. I intend to attempt to grow long grain rice in a microgravity environment. I plan to recreate a flooded-field environment while also testing a cradle to hold the seed. The mini lab will be sectioned into three parts: one with the seed and cradle, one with water, and one with glyphosate (an herbicide). The seed growth will be controlled by the cloth cradle pointing growth in the appropriate direction and by the walls of the mini lab. Does Microgravity Affect the Drug-tolerance of Streptococcus progenies? of bacteria. To do so, we will allow a 2.8 mL sample of a 50% Penicillin solution to mix with a small sample of Streptococcus progenies that has grown for 48 hours in a nutrient broth/agar. Upon the experiment’s return to Earth, we will measure the ratio of living to dead Streptococcus progenies, and compare it to previously determined ratios on Earth. This experiment is very important to NASA and the future of spaceflight operations because if someone in space gets sick, scientists must know if Penicillin will work against the bacterial organisms, since Penicillin is a commonly used as an antibiotic. TVMSC student researchers prepare samples of collagen and MMP-1 for preliminary ground experimentation. Rapid skin aging, impaired wound healing, and bone loss are harmful conditions that astronauts experience after exposure to microgravity (Blaber, 2010; Vernikos, 2010). Matrix Metalloproteinase-1 (MMP-1), which is released into the extracellular matrix because of microgravity induced oxidative stress, is crucial to these phenomena, since it cleaves collagen, an essential component of skin, cartilage, and bones (Nagase, 2006). In our experiment, collagen will be submerged in physiological buffer with and without MMP-1 in microgravity and concurrently on Earth. Collagen destruction (a potential marker of adverse health effects from space) will be assessed from both environments at the end of six weeks to derive and compare the amount of MMP-1 induced cleavage per given amount of MMP-1. We hypothesize there will be higher collagen cleaving per unit MMP-1 in microgravity than on Earth. Results will be analyzed by: collagen weight measurements taken after lyophilization, imaging using a Scanning Electron Microscope (SEM), and quantification of structural change via Sodium Dodecyl Sulfate PolyAcrylamide Gel Electrophoresis (SDS-PAGE). To our knowledge, our experiment is the first to compare collagenolysis per unit MMP-1 in microgravity and on Earth. Since collagen is integral to the structure of connective tissue (skin, tendon, bone, cartilage, vessels, and basement membranes) (Chung, 2004), elucidation of collagen degradation rate will aid the current understanding of astronauts’ ailments. Our experiment will bring medicine closer to mitigating these ailments in the future, and will advance the sciences of mechanotransduction and tensegrity by examining the effects of external mechanical forces (chiefly gravity) on cellular structure. The purpose of this experiment is to determine the effect of microgravity on the strength of concrete. We will use a Fluids Mixing Enclosure (FME) with two clamps. In the center section of the FME will contain a mixture of sand and Portland cement, and both outer sections will contain purified water. The sand and cement mixture will mix with water to form concrete. This experiment will be completed in microgravity and concurrently on the Earth. Because concrete gains strength over time, when the microgravity experiment is returned to us, we will use compression tests to compare its strength to that of the concrete mixed on Earth, after curing for the same number of days. We believe that microgravity will cause a loss in strength in the concrete because of the crucial role gravity plays in the hardening (Dr. Lu). This experiment could be important to future construction because if concrete hardens equally well in microgravity and in Earth’s gravity, it could be used to build a variety of structures in space. Concrete is the most commonly used building material on Earth. Because concrete is malleable when first poured and then becomes strong and durable, it is very useful, versatile, inexpensive and easily produced. The materials to produce concrete can be found on asteroids and even on the moon. Knowing this, concrete may be the single most important building material—not only on Earth, but also in space. Since penicillin was first identified back in 1928 (“Alexander Fleming Discovery and Development of Penicillin – Landmark – American Chemical Society”), humans have been in a race against bacteria in developing antibiotics against bacterial infections. Bacteria have evolved to make their own defense called antibiotic resistance making our old antibiotics no longer effective on them. One example of a bacteria that has grown antibiotic resistant is Pseudomonas aeruginosa (P. aeruginosa). P. aeruginosa mostly infects immunocompromised individuals, burn patients or those who have been in a hospital-setting for a week or longer (“Pseudomonas aeruginosa in Healthcare Settings”). Experiments have shown that P. aeruginosa is responsible for 11-13.8% of all infections acquired in a hospital, including pneumonia, burn infections, nose infections and throat infections, (LaBauve, “Growth and Laboratory Maintenance of Pseudomonas aeruginosa“), with a 40-60% mortality rate. Ciprofloxacin is an antibiotic that used to be effective against P. aeruginosa infections, but, due to P. aeruginosa’s increasing antibiotic resistance, it is now only useful for a few (Lomholt, “Ciprofloxacin susceptibility of Pseudomonas aeruginosa isolates from keratitis”). Since P. aeruginosa is a commonly used bacterium for experiments of antibiotic resistance, this proposed experiment will be using it and the antibiotic ciprofloxacin for the purpose of discovering differences in antibiotic resistance due to microgravity/increased radiation. The predicted outcome of this experiment is that P. aeruginosa will evolve resistance more quickly on the ISS because it has been previously proven that microgravity leads to faster bacterial growth and radiation results in greater mutation rates as well. How does Microgravity Affect the Storage of Probiotics Medicine? Parkland Middle School student Alana McCarthy Light conducting a trial for her SSEP Proposal. On Earth, Probiotics medication contains Lactobacillus Acidophilus cells, the same bacteria found in the human gut. This experiment will explore what happens to Probiotics when exposed to microgravity and the slight radiation experienced in space: will it increase the Lactobacillus growth produced, or kill the cells? The same medication will be kept in a similar test tube on Earth, and will contain two different types: liquid Probiotics solution, and tablets (the same serving size of each, to be fair). After the storage period is over and the space Probiotics comes back to Earth, all Probiotics will be cultured into several Petri dishes and kept contained in an incubator for about 2 weeks. The Petri dishes will be inspected to compare which grows the most number of Lactobacillus colonies. The results of the collected data will answer how space travel affects the storage of Probiotics. Space travel is the future; fully functional medicine will be needed to make sure those astronauts can stay healthy! Our project is a test of how antibiotics can affect a bacterial culture in space. There have been many cases of sickness in space. This experiment will test antibiotic ampicillin in space. Ampicillin is an antibiotic treatment to many different bacterial cultures, but the conditions on earth are different than in the ISS. This experiment will test whether or not microgravity is a factor of bacteria resistance. In order to continue exploring space, astronauts must have the best available defenses, including antibiotics, to ward off bacterial infections. This experiment is going to demonstrate if a Stigmella Macrocarpa moth can complete an entire life cycle in space. Our team wants to learn how the moths will develop in a microgravity environment as compared to on Earth. When the moths arrive back on Earth after being on the International Space Station, we want to observe and measure them. We will use a micrometer ruler to measure the moths because they are so small. As a result of microgravity in the International Space Station, we were thinking that the moth could have developmental problems, like humans develop if they are in space for an extended period of time. For example, a difference in their wingspan or in the molecular structure of their exoskeletons could be expected. Students are engaged in testing their experiment to set final sample amounts for their actual experiment. The students from Chesapeake Math & Information Technology (CMIT) elementary school in Prince George’s County decided to research hot peppers. We found out that hot peppers can fight bacteria. Since hot peppers can fight bacteria, this could be beneficial to astronauts in space. Our question is “Does a microgravity environment impact the seed germination of hot peppers?” The purpose of this project is to find alternative food sources for astronauts. If they can germinate this could be used to help fight bacteria. This will keep astronauts healthy. We will send hot pepper seeds, soil, and distilled water into space in a type 3 FME mini lab to be mixed in space. We will compare those seeds to seeds germinated on Earth. The purpose of experiment is to compare and contrast the germination of the hot peppers in a gravity and microgravity environment. We think hot peppers can provide great benefits to astronauts in space. Our question is: Can 91% Isopropyl alcohol, Neosporin, and Vaseline, be mixed together in a microgravity environment on ISS that may help treat astronauts in space. We think the astronauts will need it in case a floating object in microgravity hurts them. We will have the astronauts follow our procedures to mix the materials in the FME laboratory. On earth, we will also mix and study the mixture. Post mission flight, we will analyze the FME laboratory contents to see and analyze if the materials have mixed. If they have mixed, we can contact local labs such as LabCorp to see if the mixture can be used as a new medicine in space. If the result is successful then we can have a safe and effective first aid medicine for Astronauts and other space travelers. Mushrooms are a healthy and delicious food that can be grown in many environments. They don’t require much light or heat and, according to power of mushrooms website, Morels are a great source of important vitamins like Vitamin B2, Niacin equivalents, pantothenic acid, biotin, folate, and some have Vitamin D. According to the same site, they also have important minerals like Copper, Selenium, Phosphorus, Potassium, and Chromium. If these wonderfully nutritious fungi are adaptable enough to grow in space, then astronauts will be able to enjoy this amazing source of flavorful nutrition extending the duration and improving the quality of life for astronauts now and in the future. Our experiment is designed to compare the growth rate of morels both on Earth and in a weightless environment. We are intrigued by the prospect of growing mushrooms in space. We chose to look at mushrooms both because of their intense meaty flavors, and their overall usefulness as organisms for this research because many fungi do not have the same intensive requirements for light that green plants do. It stands to reason that because fungi are decomposers they could also be used to break down organic waste-products produced by our astronauts so we do not have to continue to pollute space the same way we’ve polluted the environment here on Earth. We propose to answer the question: How does microgravity affect blood separation? Blood separation occurs when plasma separates from the blood. If a test tube of blood is left to stand, the blood separates into three layers as the denser components sink to the bottom of the tube and fluid remains at the top. The three parts of blood differ with the color seen, the top with straw colored plasma, and the middle with white colored white blood cells and platelets, and at the bottom with the red colored red blood cells. We want to determine what kind of an effect that microgravity will have on this. We believe that the blood will not separate on the ISS due to the lower gravity. It is important to know how blood reacts in microgravity because blood reserves will be needed for long space missions to Mars and permanent colonies on the moon. Rare Earth Metals are critical to our daily lives. They are used in our electronic devices as well the things needed for our national defense. Use of rare earth metals has expanded exponentially. The demand for rare earth metals has increased at a similar pace. Rare Earth Elements (REE) have become vital to our existence. Leading us to ask the question: “What effect will microgravity have on the leaching process of bastnaesite with a dilute Hydrochloric Acid, and how can that help us more economically and environmentally mine rare earth metals?” That is the question that we want answered because of how difficult it is to mine these metals. Rare Earth metals are used in almost everything electronic from our phones to the electric car that we drive. It is important that we find out how to mine these metals environmentally because the way they currently are mined causes too much pollution. The US and other countries are dependent on China for most of these Rare Earth metals. Learning from our experiment can benefit our understanding of mining these metals so that we could do it here and be less dependent on China. It is important that we learn about cleaner alternatives to mine these metals so we won’t destroy the earth that we are living in. We hope to learn how to streamline the Rare Earth mining process from the effects of microgravity on the reaction of the bastnaesite and hydrochloric acid. Our team will analyze the effect of microgravity on the life cycle of a ladybug. Under normal gravitational conditions, if there is enough protein-based food and the temperature is favorable, a ladybug will lay eggs about 2-3 months after fertilization. The eggs will hatch in 3-7 days and the larvae will emerge. After 2-4 weeks in this stage, the larvae changes into a pupa. A mature ladybug emerges in 5-7 days. In total, it takes between 17 days and 6 weeks from the time an egg is laid to maturity. If the environment is changed, will these insects go through the same order of development in the same order at the same pace? Although this is only one species of the beetle family, this specific creature can help us understand how beetles, in general, will react to microgravity. How does microgravity effect mold growth when mold is in a favorable environment? Previous experiments have been conducted to determine if mold will grow faster in microgravity. This experiment will further explore this concept. The experiment will test the growth of mold on white bread in favorable conditions for mold. The already molded bread will be present in dark and moist conditions. The moisture will consist of chicken bouillon, gelatin, and water. The mixture will serve as food for mold due to its high protein content. We will measure the mold growth in the gravity and microgravity experiment by removing it from the tube and using compound light microscope with a 0.2 mm reticle grid. The bread will be examined underneath a total magnification of forty times its original size, 10x eyepiece lens and 4x objective lens. We will examine mold growth to determine the exponential function using the function = (!) for each situation. The a is the initial mold on the bread, the b is the growth factor we will calculate, and the x is the number of days. We will compare the exponential functions of both experiments. The experiment will determine if the exponential growth of mold on white bread in microgravity and gravity differs greatly when mold is in favorable conditions and supplied high protein food to promote growth. It’s a Bird! It’s a Plane! It’s Super Spinach in Space! For our project we want to learn how microgravity effects the growth of spinach with hydroponic fertilizer. The question we hope to answer is how quickly the seeds will germinate with the added fertilizer in microgravity as compared to the growth here on Earth. We believe this question is important because space journeys are very long and astronauts require nutritious foods that can help them to stay healthy on board. With the thought of future colonization of space, the production of reliable, nutrient rich food sources is essential. Our questions will lead to further understanding of farming in space, as well as drive future research into the effectiveness of hydroponic fertilizers to help promote growth and germination of not only spinach, but many other types of fruits and vegetables. How does Microgravity Affect the Germination of Pot Mum Seeds? 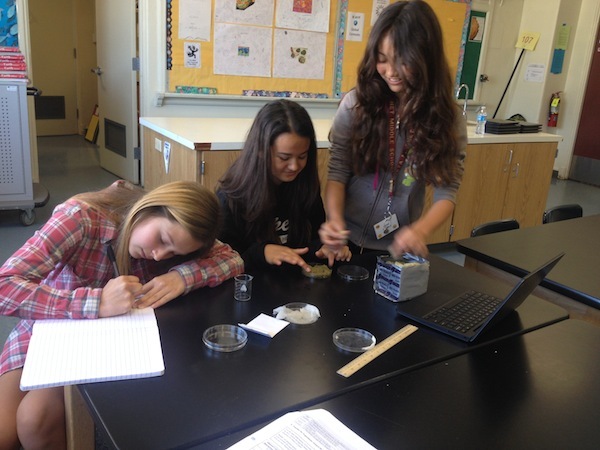 Student researchers at PS/IS 30 examining their FME for the first time with science teacher Mr. Tubbs. We want to know how microgravity affects the germination and growth of pot mum (Chrysanthemum morifolium) seeds. We will accomplish this by comparing seeds grown on the International Space Station to seeds grown on Earth. We want to help future astronauts to grow plants in microgravity as plants can be used to produce oxygen and clean the air of spacecraft. In our experiment, we are trying to solve the question: How can we use living organisms to help compost in space? We want to compost in space because it can make space eco friendly, help save money, and help the ISS become more self-sufficient in space. Every year, NASA spends millions of dollars just sending food from earth to the ISS and we want to change that, once we begin growing more and more food on the ISS, we can make a food cycle. In a tomato plant, there are scraps of the tomato, or a rotten tomato, so we take those scraps or rotten food, put it in the compost and then later put that same compost full of nutrients to help growth in plants back into the tomato plant. Soon we can be less reliant on earth and go on father, stronger, better missions, without the millions of dollars worth of waste, therefore making the ISS more self sufficient. Composting is also great for the environment. Instead of throwing away all the pounds of waste, we can reuse and recycle. Composting can help kill three birds with one stone. If a composting system is later used on the ISS, it would be more eco-friendly, cost efficient, and could work towards a fully self sufficient ISS. How does Microgravity Affect the Growth of Escherichia coli? In this experiment we are trying to find out how bacterial growth is affected by microgravity. We are attempting this by using a nutrient rich medium to grow the bacteria Escherichia coli in outer space and then observing the number of bacteria colonies grown in space compared to on Earth. This is going to help us observe if astronauts may contract harmful diseases more easily in outer space as we expand our exploration efforts in the future. Contact lenses offer a better range of vision than glasses and don’t get fogged up in rainy weather, so nearly 36 million Americans use them (American Academy of Opthalmology, 2011). They improve vision by refracting and refocusing light. Lenses float on the tear film layer on the cornea and are kept in place by fluid and eyelid pressure (CooperVision, undated). This proposal focuses on soft contact lenses, which are made out of hydrogel, a polymer that absorbs water (Ivanova et al, 2015). One issue with soft contact lenses is bacterial infections. Microorganisms stick to the contact lens and when it is put on the eye, they transfer to the surface of the cornea (Willcox and Holden, 2001). From there, they go further into the cornea, and produce permanent damage in its deeper layers (Ibid). Even more harmful are biofilms. A biofilm is an “assemblage of surface-associated microbial cells that is enclosed in an extracellular polymeric substance matrix” (Donlan and Costerton, 2002). When bacteria form biofilms on contact lens surfaces, they become resistant to host defenses, disinfectants, and antibiotics and thus are much more harmful than other infections (Willcox, 2013). In fact, in a study of 100 patients, 52% found that their “contact lens care systems,” consisting of the case and disinfecting solution, was infected with bacteria (Donzis et al, 2014). This is a prevalent problem for contact lens wearers. This experiment investigates the effect of microgravity on biofilm formation in contact lenses. It is be predicted that it will be harder for biofilms to form in a microgravity scenario. Iron is not frequently used to construct spacecraft because it rusts quickly in cold environments, but if there was an efficient way to remove rust from iron, then the material could be used to build spacecraft. Distilled vinegar is widely accepted as an adequate way of removing rust from everyday metal objects such as pots and pans. This study aims to answer: how effectively can distilled vinegar, a relatively inexpensive substance, remove rust from iron in microgravity? If so, will the process would be any different than on earth? Our hypothesis is: if distilled vinegar is used on a rusted surface in microgravity, then the rust will be removed. To determine vinegar’s capability of removing rust in space, a Type 2 FME will be used. One volume will contain distilled vinegar, and the other will contain a rusty screw. The volumes will be combined on D-2 days, and the masses of the screws will be recorded to determine how effectively the vinegar worked. To test the difference in how effective the vinegar is in removing rust, an experiment with the same procedure would have to be done simultaneously on earth. The masses of the screws before and after the vinegar is applied will be compared to see if the vinegar was effective. If the vinegar is proven to work adequately, iron and possibly other metals that oxidize could be used in the interiors of spacecraft, which contain oxygen. The question that will be addressed in this experiment is “What is the effect of microgravity on the growth rate of Spirulina?” We plan to place the cyanobacterium Spirulina in one compartment and salt and water in another compartment of Type 2 FME for this microgravity experiment. We hypothesize that if gravity is decreased, then the growth rate of Spirulina will increase compared to the growth rate of this cyanobacteria on Earth. In space, everything is different, allowing mankind to have an infinite variety of things to learn and discover. Inside a microgravity environment, there are many things to test for the benefit of mankind. We believe that a dietary supplement, Spirulina can be the food of the future, as many already call it. Spirulina contains many nutrients and proteins that the natural human body requires. It can only grow under a few conditions, but all in all, is very easy to produce. Now, if we would grow Spirulina in space under microgravity, any increased growth rate of the algae would have a positive effect on mankind. After our tests and results, we would compare it to how Spirulina grows on Earth. The effect of microgravity on Spirulina would be phenomenal if it grows quicker in microgravity, as astronauts and future space explorations would be easily supplied with nutrients. Lilia Parrilla (left), Harpaven Dhaliwal (center), and Princess Pereira (right) assess a microscope on its usefulness versus a flow cytometer for their lactobacillus acidophilus reproduction experiment. It is our hypothesis that lactobacillus reproduces faster in microgravity. The human body contains it in various places, including the digestive tract and female reproductive system, with homeostasis being important for health. Knowing astronauts in space can’t travel to a hospital, maintaining their health is very important, especially on extended stays in microgravity. NASA’s recognition of this is shown through Scott Kelly staying on the International Space Station (ISS) for one year while his twin brother stays on the Earth. Comparisons will be made between the two after Scott returns to Earth to identify factors to be managed. Similarly, we will have two apparatus’. One will be on the Earth (‘ground truth’ – with gravity), while the other will be aboard the ISS (in microgravity). The bacteria will be in a dormant state (freeze dried) so it can be rehydrated in orbit using a solution of 10% sucrose in distilled water. To ensure the bacteria grow only in space, we will stop its growth and preserve the bacteria with Formalin. Once in our possession, we will use a polarizing microscope with a live/dead stain to identify the concentration of lactobacillus between our two apparatus’. We will also use a flow cytometer to get a more detailed analysis of the concentration and other characteristics of the cells. 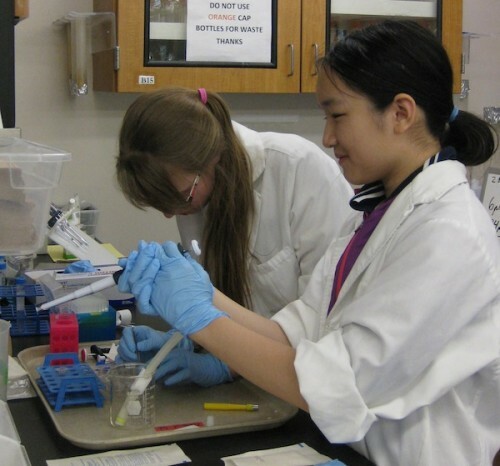 A flow cytometer has been made available to us by Farmingdale State University. If the experiment conducted in space has more bacteria than the one on earth, our hypothesis will be proven correct. “The alcohol in wine, called ethanol, is present in sufficient concentrations to kill disease-causing microorganisms, and throughout history, wine was often safer to drink than water or milk.” (Encarta, 2000). Since we are thinking of colonizing other planets, we might do what our ancestors did at the early stages of civilization. Because planets have different levels of gravity, our experiment done in microgravity can show us the effect of gravity. Our experiment focuses on the effects of wine on tooth enamel (the thin, outer layer that covers and protects it from damage). We will use a New Zealand Sauvignon Blanc wine because it is more acidic than other wines, and white wine is more damaging to tooth enamel than the red type. This may also tell us how much time a tooth’s enamel can handle wine before it fails, and becoming infected. In ancient times, people could die from an infection that started in their tooth. We will use a Fluid Mixing Enclosure (FME) with three compartments. We will fill one compartment with wine, the one next to it with two small human teeth (sterilized), and the one at the other side of the tube with polymer to absorb the wine to stop the experiment in space. On Earth, we will do the same experiment. We will measure our results by 1) weighing the teeth before and after, 2) measuring tooth volume through liquid displacement, and 3) visually inspect the teeth under a polarizing microscope to identify surface differences. We hypothesize that Tylenol (acetaminophen) will have a greater damaging effect on the human liver in a microgravity environment than on Earth. Many people on Earth use Tylenol without any noticeable negative effect on their chromosomes when used as directed, but when abused, it may cause liver damage. As a substitute for human liver chromosomes, we would like to use rhesus monkey microsomes. We will place a Tylenol and saline water solution (160 mcg/mL acetaminophen in water) in the first compartment of the FME (fluid mixing enclosure), a sample of the rhesus monkey liver microsomes in the middle compartment, and in the third compartment we will place Formalin as a ‘stop reaction’ and to preserve the microsomes for analysis. For transport to the International Space Station, we will require refrigeration. We will also do the exact same experiment on Earth so we can compare the Earth experiment to the one done in microgravity. When the experiment is returned, we will use Agarose Gel Electrophoresis to analyze the size of the chromosomes after exposure to the Tylenol. The smaller microsomes will travel further. We will also use flow cytometry to ensure accurate results (both methods should agree). We will look at the size of the microsomes after exposure to Tylenol. If there are more smaller pieces of microsomes from one experiment compared to the other, that would tell us that there is more damage. If more damage happens on the International Space Station, our hypothesis would be proven. Laundry is a problem in space. Our idea is to see how microgravity affects how effectively polymer beads clean oil stained cloth. This is a major problem on the ISS due to the lack of water for washing their clothing. We came up with a solution to this problem. Polymer beads use a minimal amount of water to be activated. The way polymers work is when the water goes into the polymers they expand to trap the stains and keep your clothes clean. So we want to test our experiment in a microgravity environment and see how effectively it cleans the cloth. Our question is: What is the effect of microgravity on skin absorption of moisturizer? We are interested in doing this experiment because our skin is a barrier against infection. With lack of moisture our skin can become dry leaving it cracked and exposed to bacteria. Infections may occur, especially in people with eczema. It is important to keep it healthy and well moisturized on Earth, so astronauts in space need to keep their skin moisturized too. This experiment will help us figure out if moisturizer/ glycerin works efficiently in space as it does on earth. We will use a two compartment mini-lab and fill the first compartment with 1 square cm of pig skin from a local butcher. Then, we will add 2.8 mL of glycerin. On the first day, the astronauts will release the clamp exposing the glycerin to the pig skin. The skin may absorb the glycerin. When the experiment returns to earth, we will compare the pig skin from space to the pig skin on Earth, and measure the moisture. Astronauts shouldn’t have to deal with dry skin. This experiment could change the future of astronaut skin care. Our question is, does microgravity affect the solidification process of cement? We are interested in doing this project because cement is an important material used for construction. It is used for constructing roads, bridges, water supplies, sewage systems, factories, airports, railroads, waterways, mass transit systems, and other structures. Concrete is such a popular building material because its ingredients are readily available and inexpensive. Also, concrete doesn’t rot, corrode, or decay like other building materials do. We are interested in knowing if microgravity affects the solidification process of cement, because if astronauts are planning to build or live in outer space, we want to know if we can build cement structures on various planets and/or space stations on the moon so they can travel and stay for long periods of time. For our experiment, we are putting cement powder into volume one of our minilab and water into volume two of our minilab. When these two substances are combined, they will form cement. 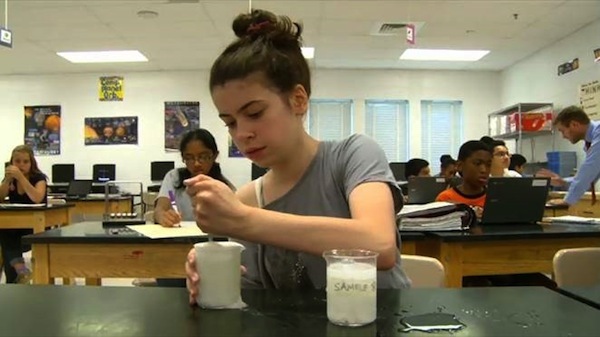 We want to compare and contrast the strength of the cement that forms in microgravity to the cement that forms on Earth. Concrete has so many extraordinary advantages as a building material. We hope that our experiment gives astronauts the information they need to create a concrete world in outer space!